Mascots often get the snub when it comes to sponsorship activation with players and coaches getting most of the love. 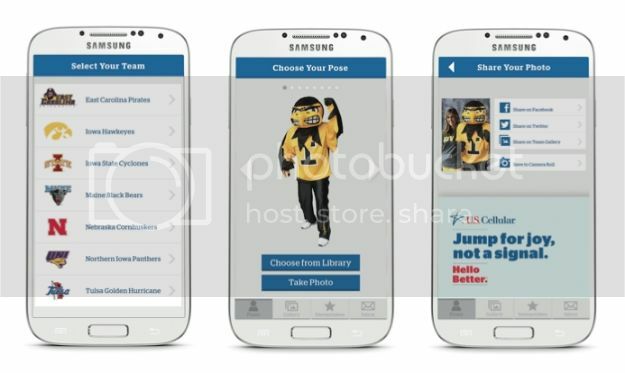 Now, there's a new sponsored app that will give Herbie Husker - and mascots at other U.S. Cellular sponsored schools - their due. Using the wireless network's Mascot & Me app, fans of the Nebraska Cornhuskers, East Carolina Pirates, Iowa Hawkeyes, Iowa State Cyclones, Maine Black Bears, Northern Iowa Panthers, and the Tulsa Golden Hurricane can pose and get their picture taken with their school mascot. With players being off limits for college activation and coaching changes becoming a regularity, mascots offer a reliable, memorable and unique way to differentiate sponsorship deals. The activation is being managed by U.S. Cellular's agency, Jay Advertising. You can check it out and download the free app in the itunes store here.